Everyone is welcome to come along to our screenings and we have a range of one-off ticket prices to suit all needs. If you are keen to visit more regularly, however, and would like to save some money (whilst supporting us at the same time), we have two loyalty options. Work out which one is best for you by answering this simple question: What kind of cinema-goer are you? Available for free at any Screen25 event. 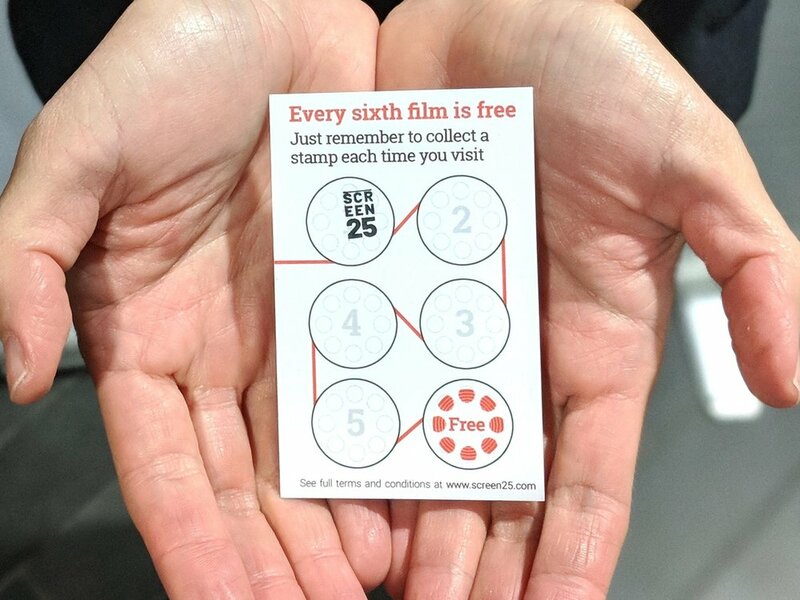 Just remember to get it stamped every time you visit and every 6th screening is free! Stamps may be used for both online and in-person bookings - simply show your ticket at our box office on arrival to receive a stamp. One stamp per person per screening. Free films need to be claimed in person by the card-holder. Existing member with a question? We hope our FAQs page will answer it for you! Screen25 loyalty card holders and members are entitled to a range of discounts and incentives with cafes and local businesses across South Norwood. Discounts can be redeemed on presentation of a valid loyalty or membership card.